Members of the Senate Education Committee cleared one major hurdle for assuaging North Carolina’s hotly-debated class size funding crisis Monday night, approving a deal that softens previous Republican demands that school districts drastically slash class sizes by the coming school year. However, the second year of the deal includes much more stiff requirements for cutting class sizes, potentially setting up a similar funding crisis next spring. 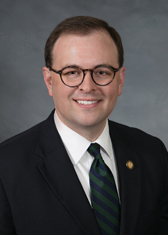 “This has been one of the most difficult issues I’ve tried to resolve as a legislator,” Sen. Chad Barefoot, R-Franklin, Wake, told committee members Monday. School officials likened the original directive to an “unfunded mandate,” complaining that, without additional state funding or local flexibility, districts would need to lay off thousands of arts and physical education teachers to make space for the necessary core subject educators. Barefoot was one of the architects of Monday’s deal, which GOP official said had the blessing of House lawmakers and advocates with the N.C. Association of School Administrators (NCASA). The fix approved Monday would seem to offer a temporary respite for districts, although the second year of the deal is still expected to reap major consequences for school districts. And while GOP lawmakers said the revised proposal comes with a “pledge” to review funding for the state’s specialty teachers—arts and physical education—in year two of the deal, the proposal floated Monday does not include any promises of additional funding in writing. Katherine Joyce, NCASA executive director, called the proposal a “good compromise,” provided GOP lawmakers deliver on their promise to revisit specialty teacher funding in year two of the deal. Currently, districts can have a maximum of 24 students in a K-3 classroom and an average of 21 students. The deal announced Monday night—rolled out as an amendment to a bipartisan-backed House Bill 13, includes a gradual phasing-in of smaller class sizes, with districts required to reduce maximum class sizes to 23 students in 2017-2018 and to 21 students in 2018-2019. Average class sizes, meanwhile, would have to be trimmed next year to 20 students in K-3 classrooms. But, in the following year, districts would face a stiff mandate that they cut average class sizes to 18 students in kindergarten, 16 students in first grade and 17 students in second and third grade. Public school advocates and Republican lawmakers have been squaring off in recent weeks over the significant consequences of last year’s order to school districts that they cut class sizes in grades K-3. Monday’s deal comes after weeks of warnings from educators of far-reaching and expensive complications for districts short on classroom space. 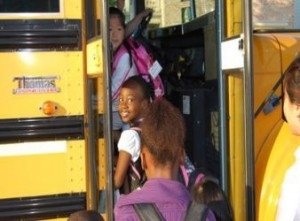 The latest warning came from Wake County Public School System, the state’s largest school district. Administrators said last week that they would need to fill in a $26 million budget gap without compromise from the legislature. Proposals for filling that hole included massive layoffs, student reassignment and even a proposal to pack up to 40 kids into one classroom. In announcing the proposal Monday, Barefoot included more barbs for North Carolina’s K-12 leaders, complaining of a “lack of transparency and accountability” from districts in how they use the state’s funding allotments. GOP legislators have made similar comments throughout the debate over class size funding, although no lawmakers have presented specific evidence of illegal actions by local districts. Meanwhile, school advocates say they are using the flexibility allowed in state law to make local decisions about whether teachers are needed, pointing out they have used that flexibility to maintain arts and P.E. staffing, which does not receive a separate pool of funding, in the elementary grades. Monday’s legislative pact also includes demands that local superintendents prepare regular reports on whether districts are meeting the state’s class size mandate, also allowing for periodic audits by Republican Superintendent of Public Instruction Mark Johnson. The proposal Monday had the support of Senate committee Democrats, although Sen. Jay Chaudhuri, D-Wake, said he hopes the deal is not simply a “stopgap” measure leading to more school funding drama next year. After the measure was approved Monday, Senate Republicans forwarded the bill to the chamber’s Rules & Operations Committee. It will still need to be receive approval by that committee, the full Senate and the House once again before it can be sent to Governor Cooper. The measure is not subject to this week’s legislative “crossover deadline” since it has already passed the House. I don’t understand the reference to the crossover deadline. H 13 has already passed the House; the bill has already met crossover. The reason for moving the bill quickly relates simply to the fact that school boards are submitting their budgets to county commissions and city councils across the state, and those budgets depend on clarity as to what the class size requirements are.